Baylis Medical is a world leader in the conception, development, production and distribution of state-of-the-art medical products that improve the lives of people around the world. We are committed to offering these products with exceptional customer service. Technological Leadership: We strive to be at the technological forefront in the conception, development, commercialization and production of medical devices. Employee Development: We are committed to developing our employees so that they may reach their full potential in their field of expertise. Customer Service: We strive to provide our customers with excellent, high-quality service and customer support. Corporate Social Responsibility: We participate in social and environmental initiatives aimed at improving the quality of life of people around the world. Baylis Medical Company subscribes to the MEDEC code of conduct in its professional dealings. MEDEC (Canada’s Medical Device Technology Companies) is dedicated to advancing healthcare by delivering innovative technologies and devices. Because the relationships between MEDEC’s Members (“Members”) and Healthcare Professionals are so important, they must be guided by the highest ethical standards. For this reason, MEDEC members have designed and adopted a Code of Conduct to promote ethical business practices and socially responsible industry conduct to govern their interactions with Healthcare Professionals. 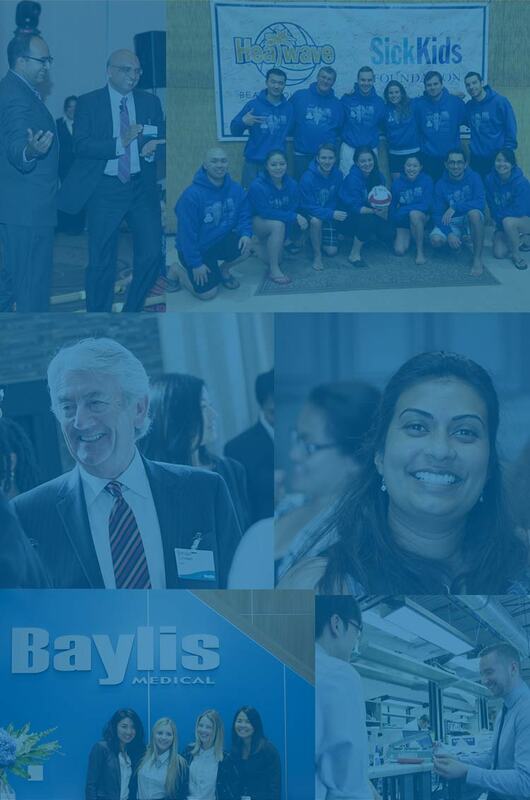 Baylis employees volunteer with For the Children (FTC), a group that plans, advertises and hosts charitable events with all proceeds going towards supporting education around the world. Baylis also donates to a local breakfast program to support proper student nutrition, and matches employee donations for disaster relief.